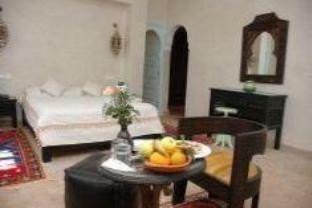 ﻿ Hotel Dar Zitoune Taroudant Taroudant. JIMAT di Agoda.com! 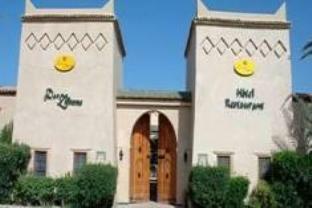 Hotel Dar Zitoune Taroudant merupakan alam sekitar Riad yang terletak di tengah-tengah kawasan Souss di selatan Maghribi. Ia menawarkan banglo-banglo Berber berhawa dingin dan suite dengan peti deposit keselamatan serta bilik mandi. Perkhidmatan kecantikan dan penjagaan badan disediakan dan tetamu juga boleh berehat di kolam renang luaran atau tab mandi yang dihangatkan. Restoran ini menawarkan gabungan masakan Eropah serta Maghribi dan juga boleh dihidangkan di teres atau di bar lounge. Hotel Dar Zitoune Taroudant tradisional ini terletak di dalam suasana taman yang damai, hanya beberapa kilometer jauhnya dari bandar Taroudant ini. 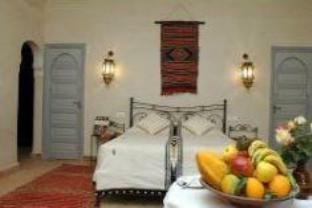 We stayed here for 2 nights, arriving after a long drive over the Atlas from Marrakesh. Our room was a small cottage set in lovely gardens with a semi-private terrace, where we enjoyed our large and delicious breakfast each morning. The room was very clean, had everything we needed (except an English language TV channel)and was nicely decorated. We had dinner in the hotel dining room both nights and were favourably impressed on both occasions. What made this hotel really special though were the fantastic staff, who were unfailingly charming and helpful. enjoyed very much dar zetoune just outside the centre of taroudant. the hotel is managed by a couple who are very friendly and make sure you feel at home. the pool is very big but unheated in winter. there is a smaller pool on the side that is heated in winter. a nice cardio room with three machines is also available next to the pool. the bungalows were pleasantly decorated, bed was comfortable. enjoyed both dinner a bargain for four courses (including cheese and salad the french way) at dhr 150. the breakfast served by the pool was also highly enjoyable. good value for money, i would encourage all to try dar zitoune.